Link building for your letting agency website is crucial in order for your site to get listed high on organic search results. In a previous post we discussed the biggest challenge letting agents face today, which was winning new properties to let and manage. We then went on to discuss how to win more landlords with a post on marketing to landlords in 5 Steps. With so many letting agency websites to compete with it has become essential for you to put an SEO strategy into place. One way search engines rank your website higher against others is by how many times your website gets mentioned on the internet. This term is simply called “inbound links”. The more websites that mention your website the higher search engines rank your own website (Page Rank). Page rank is important as the higher a websites page ranks the higher amount of credibility it gives to its link to you (Link Juice). If you are going to start to build links you need to research link building strategies. What tools can help you? A really quick way to find out how many links you currently have going to your site can be found by visiting Alexa. Enter your site url and it will return a link with your number of links. A useful exercise is to check up with a number of your competitors and see how they are doing. Through some research you could possibly find some websites that can give you some really strong links. We would be delighted to hear how you get on with your link building strategies and what worked well for you. Good communication between your Letting Agency, your Landlords and Tenants is a vital tool in keeping your customers happy and retaining them going forward. The office phone will usually start ringing from 9am until 5pm with numerous queries or information from tenants and landlords; where is this month’s rent? Can I have a breakdown of my accounts? There is a problem with my washing machine! The radiator in the main bedroom doesn’t work! If you manage rental properties you will surely have heard some of these topics or issues arise from landlords and tenants. 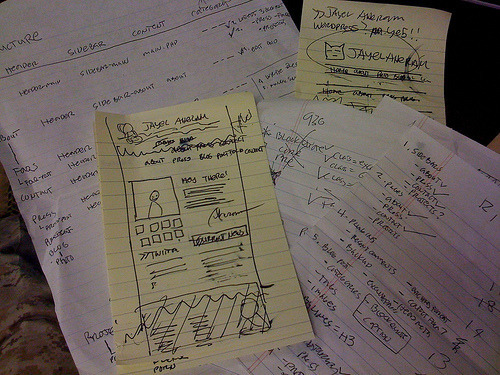 The problem today is there are too many ways of communicating issues or problems into your office and the information can get lost if you don’t set down some rules or guidelines. I list below some of the main communication channels used by landlords and tenants when contacting you or your office. The trusty telephone is still the number one way landlords and tenants will communicate with letting agents and property managers. If you use this as your main point of contact for your customers, expect to get a deluge of messages come Monday morning on rent and property management issues. Depending on the size of your rental management portfolio you may need to hire a receptionist to take care of the queries coming in. This is a very popular and a preferred way for some agencies to communicate with customers, especially with landlords who may be in a different time zone. With access to Smartphones, it is easier than ever to communicate with tenants and landlords and you can sync your work email up to your Smartphone easily. The downside is, you may never be off work with emails popping up frequently, and the communications never stop. The main danger here is that if you get an email in the night time, come the start of the next working day, you may have forgotten to act upon it. Text message is another way of communication management used and sometimes preferred by your customers. It is usually used in non-urgent situations by tenants looking to rent a property or to alert property managers to issues within the property. Tenants along with potential tenants who have poor oral English will send a text as they tend to be better at writing than speaking over the phone. You will still get some landlords and tenants who will call into your office to speak to you as they prefer a more personal approach to all of this (old/new) technology stuff. The good reason for having a nice office is to be able to welcome your landlords and tenants in for a chat. If unavailable, the best approach here would be to log the issues in a diary or leave a message with the designated property manager who will deal with the query if you are not there. Social media platforms such as Facebook and Twitter could be used to communicate with your customers but should probably only be used to promote your brand or notify of an emergency or announcement. This is open for debate and some Letting Agencies may prefer to communicate with people via social media as they can be seen to be proactive at dealing with things. 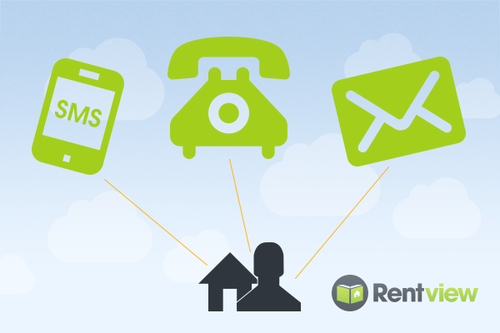 Imagine a property manager using his diary to write down a call from a landlord, communicating with a tenant via text or emailing a landlord their invoices. If your agency uses all of the above to communicate with landlords on rent and property management issues it is vital you use a good tool for the management of communication. A good CRM or online diary with a task manager is a vital tool in your armoury because your information could get lost if it is not noted down or logged. What form of management of communication do you use in your letting agency? We would love to hear and share with other letting agents and property managers what works best for them. Let us know! Finding new landlords is the biggest challenge for letting agents and property managers. For most letting agencies and rental managers, finding tenants in today’s rental market is easier than finding landlords. 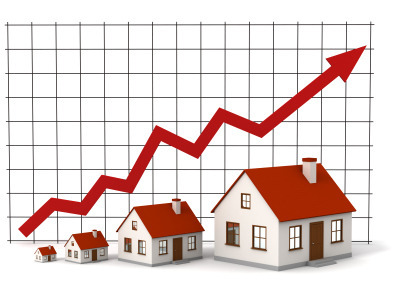 So how can you increase your marketability as a letting agency to new landlords? Well there are a number of housekeeping procedures that some letting agents fall behind on which we will discuss below. These can improve marketability to new landlords and help in finding landlords to expand an agency’s portfolio. A lot of landlords today look through property portals to try and estimate what their property will achieve on the market prior to it being available. They will look at properties in the area, pictures, descriptions etc. So it is very important that your listed properties are looking their best. Have a detailed property description, mind your typos, make sure your pictures are professional and not taken from a low mega pixel digital camera. I would also strongly advise against night time photos. Even if the market is busy and you know that if it was listed without pictures you would still get a dozen showings in 48 hours ensure every listing is as professional as possible. Once again landlords are busy looking through portals and having a profile with 2 lines of text is just lazy. I am not saying list a page full of text but put some thought into what your services are and what makes your rental agency stand out against the busy crowd. If there is possible to upload thumbnails of the staff, do it. This is a service business and that means it’s a people business so let landlords know who you are. This is similar to the above and is also relevant to your website. There are a lot of property websites that I visit and I can’t find out any information on the staff in the agency. Have they experience? Who are they? Have they been working in the industry long? This is all information that potential landlords really love to know. So why not really sell yourself here? 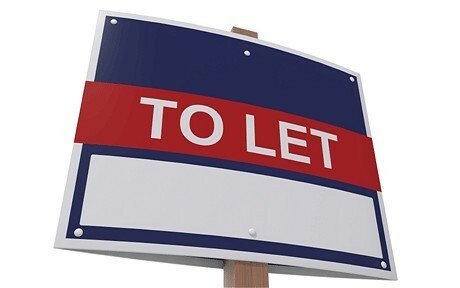 We provide a full letting and property management service. This sometimes is as much information that is on a letting agencies profile or website and it’s not going to get you a large volume of inbound inquiries. List your services and if there is something that makes you stand out list it. Do you provide Digital Inventories on all your let properties? Do you offer a landlord free online account login on all managed properties? Free energy certs on all rentals? If there is something you can offer or currently offer that makes you stand out let potential landlords know about it. In the information age that we live in there is nothing more appealing than customer testimonials in finding landlords. Now a written testimonial by Jack Smith is good but landlords may think is it genuine? A picture of Jack Smith beside his testimonial is more powerful. You can take this to the next level and include a small video clip of Jack Smith giving a testimonial. One of my favourite types of testimonials I am seeing now is Jack Smith leaving a testimonial on a Facebook page. Extract this and post it on your website and link it to your Facebook page. This way your new landlords can see its genuine and also might Like your Facebook page. Following this list can only increase your brand and image as a excellent and trustworthy letting agent or property manager. I would love for you to tell me what number 6, 7 or even 8 could be on this list so why not comment and let me know? Finding landlords is not easy but I hope this list will allow you find more. As always, please feel free to share and ask any questions you may have. In our last blog post on letting industry challenges we looked at how winning new landlords was one of the current biggest challenges for letting agents. Apart from providing an excellent service to your landlords and winning referrals, your website is currently your next best marketing tool. The problem is, as we discussed, that many letting agents neglect their website and their letting agency website design. So let’s start by doing a quick health check on your website to see how people are currently finding you. There are a couple of simple enough ways to get under the hood of your site, I would recommend using Google Analytics (click here for a previous blog on Analytics) or Google webmaster tools. You can access these by simply setting up a free Google account (if you haven’t already got one) and simply searching for them. You will need access to the control panel of your website to install a simple code into your website as a security feature. It’s quite simple but if that is something you are not comfortable doing, just ask who ever looks after your site to install the code. If you can’t access either of these a simple way to get some information on your website is to got through Alexa. Here you can get a quick overview of where your website ranks. It also gives you the chance to see keyword queries that bring a high percentage of traffic to a particular URL. So when here, check your own site and then perhaps a competitor who is doing well. Once you get the site up, you can go through and click onto search analytics to see the top search queries which are driving traffic to your competitor’s website. Compare it with your own. Is your competitor generating more traffic through search terms? Are the search terms they rank highly in ones which you wish to gain traffic through? If so, they are probably working more effectively on SEO than your own site. Most letting agents are looking at finding landlords through their website SEO. Search the term that you think a new landlord would search to find a property manager or letting agent in your area, then see who ranks the highest. Now visit their site on Alexa to find out more about them. Learn from their website and implement changes needed to move your website up the search ranking. https://rentview.com/blog/data-backup-for-agencies/ or if hyperlinked in text, the same link might look like this. If you want to know more about link building strategies this is a great place to start. In order for your website to generate traffic, it is very important to look at your letting agency website design.